Autumn brings excellent dry fly fishing with blue-winged olives, Tricos, and midges. With diminishing irrigation demand, flows become the most consistent of the year. 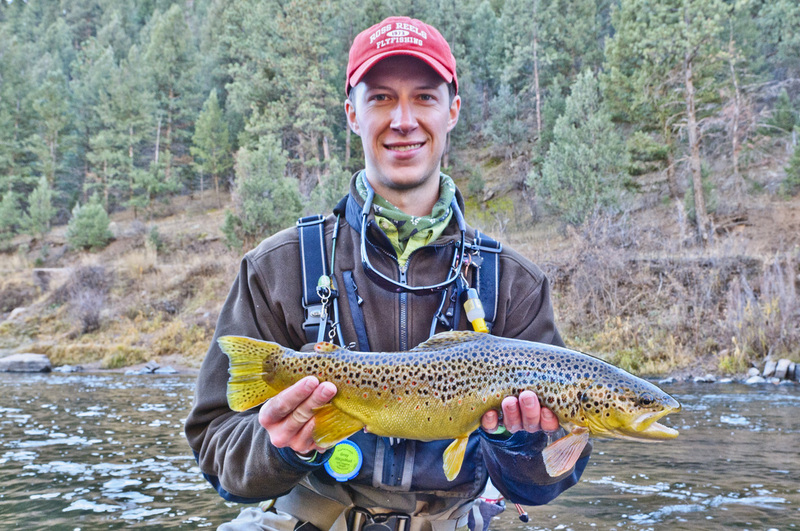 This alone, provides optimum conditions for dependable dry fly fishing. The fall blue-winged olive is known as the Puesdocleon, or the tiny blue-winged olive. I recommend cramming your fly boxes with both Baetis nymphs and dun imitations in sizes 22-24 to match the hatch this time of year. The autumn blue-winged olive is one-to-two sizes smaller than those found in the spring, so prepare your fly selection accordingly. Anglers will also find dense midge hatches in October and November, requiring anglers to dead drift pupa imitations in the upper part of the water column. Blue-winged olive hatches remain consistent until mid-November; then falling water temperatures bring the hatch to a screeching halt. Fishing with Baetis nymphs prior to the hatch is an effective strategy. I recommend carrying #22 Jujubaetis, #22 Stalcup’s Baetis, #22 Sparkle Wing RS 2’s and #22-24 Foam Wing Emergers. During selective feeding phases, I recommend fishing with two or three Baetis nymphs in your tandem nymphing rigs. Sporadic midge hatches provide the bulk of the trout’s food throughout the winter months. Anglers need to think simple, sparse, and most importantly small. Colorado fly fishers will need to carry a thorough assortment of larvae, pupae, and adults to match the hatch. Anglers will find intermittent dry fly fishing with midge adults in the slower pools and tailouts throughout the winter months.